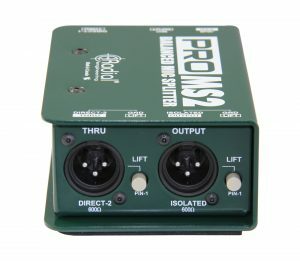 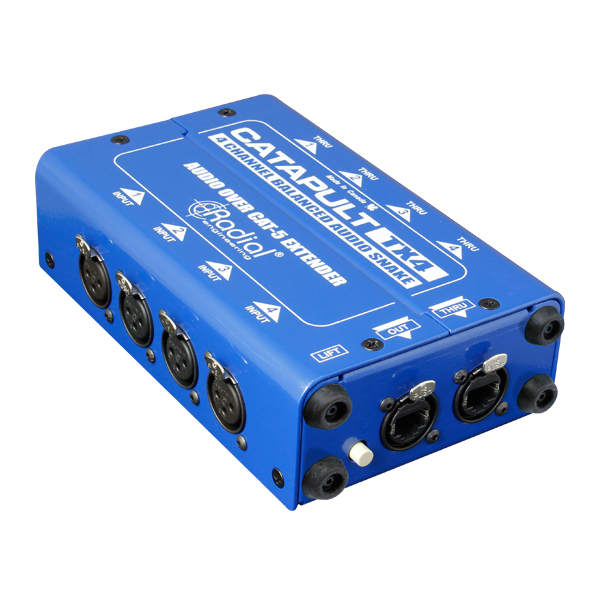 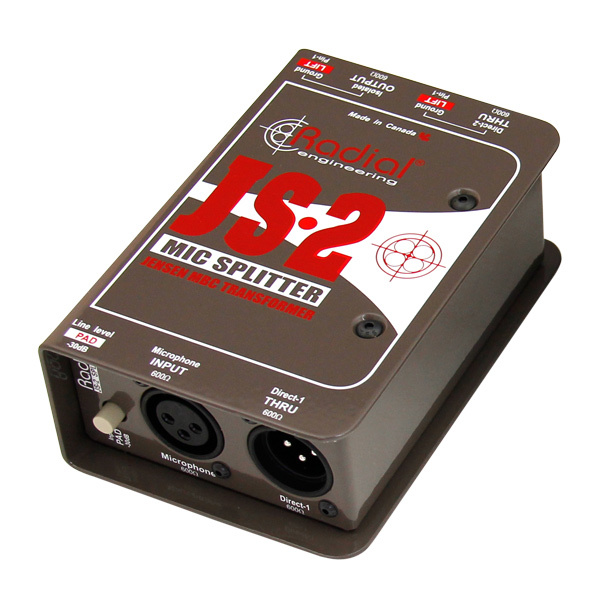 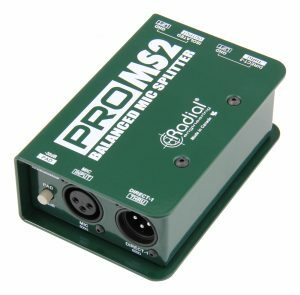 The ProMS2™ is a balanced mic-level splitter designed to send a signal to multiple destinations simultaneously on stage, with one transformer-isolated output and two direct outputs. 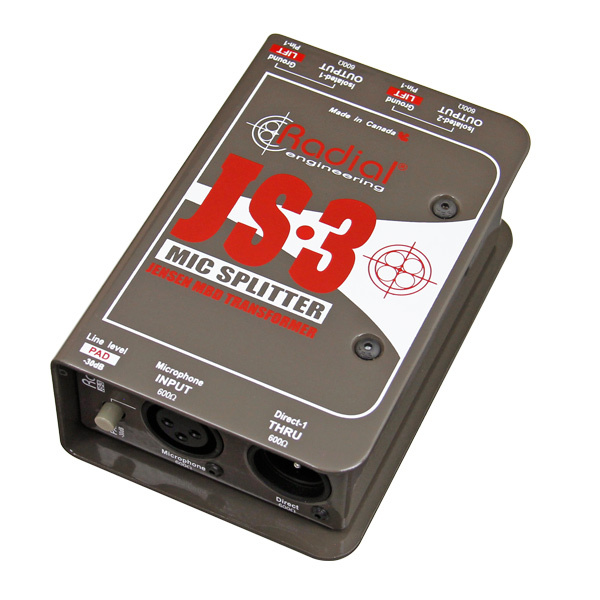 The ProMS2 is a mic splitter designed to split a single source to multiple destinations simultaneously without signal degradation or noise. A high quality Eclipse transformer inside provides galvanic isolation to eliminate hum and buzz from ground loops, while delivering a wide frequency response and low distortion. 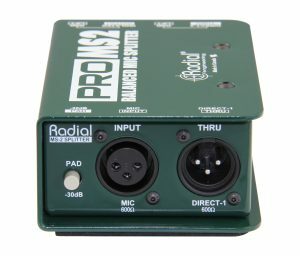 Ground lifts on the outputs help further reduce noise, while an input pad allows line-level sources to be connected as well. 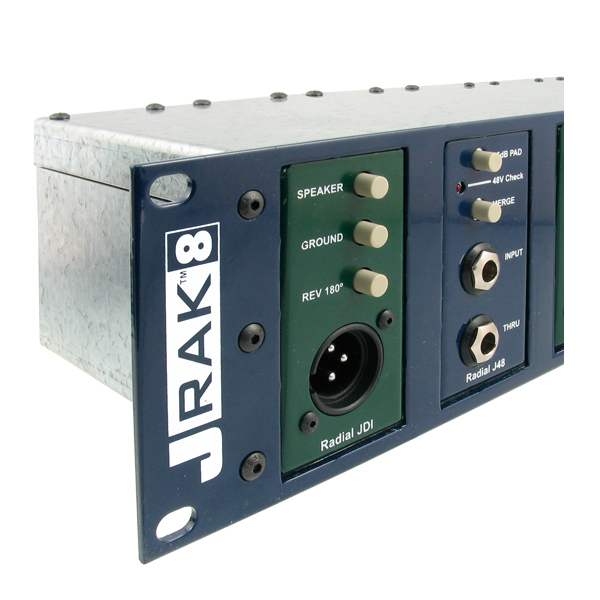 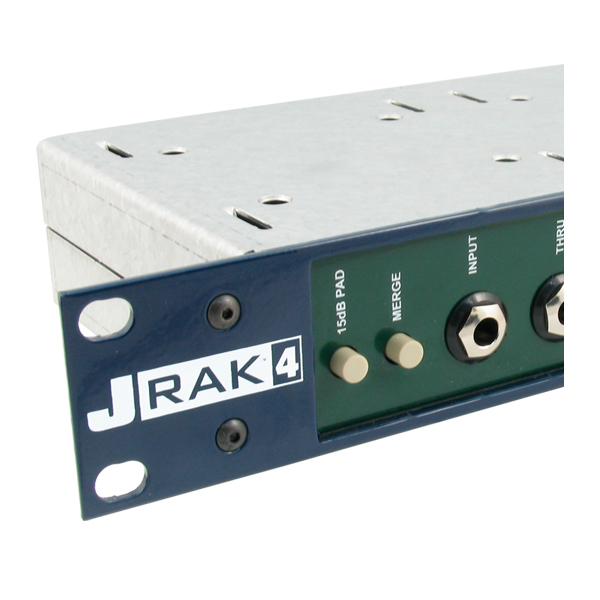 The ProMS2 can be rack mounted for touring and installation purposes, with up to eight fitting in the Radial J-Rak. 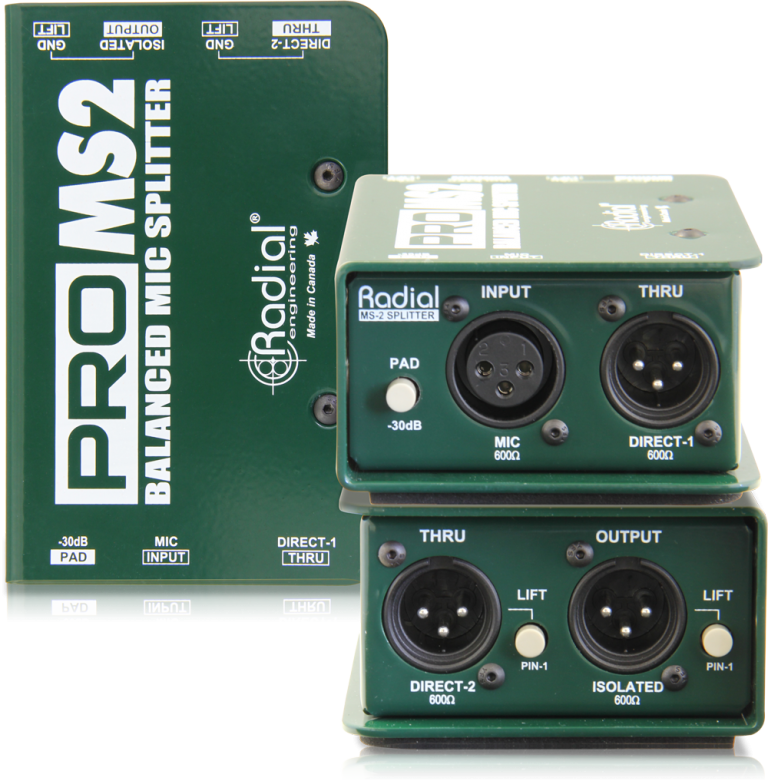 The Radial ProMS2 is the perfect interface for splitting a microphone to feed more than one mixer at the same time. 100% isolation eliminates potential ground loops between the two consoles for quiet performance while the main output provides a 48V phantom power return path to the mic. 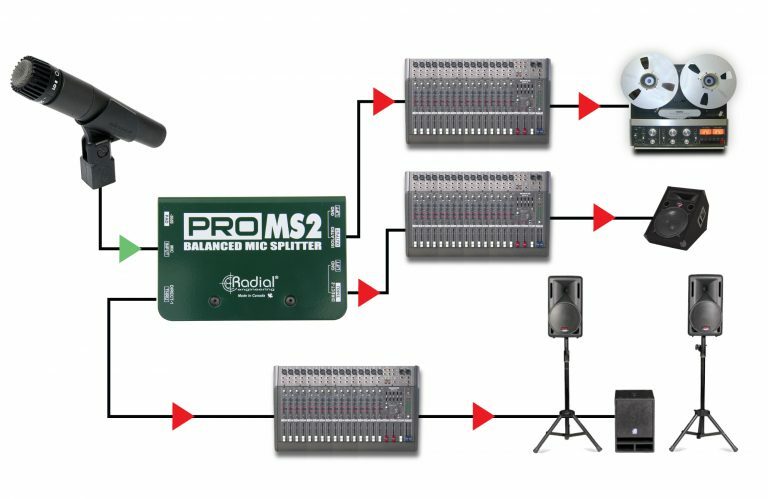 Sometimes, you need to feed the main mixer, stage monitors and a recorder at the same time. 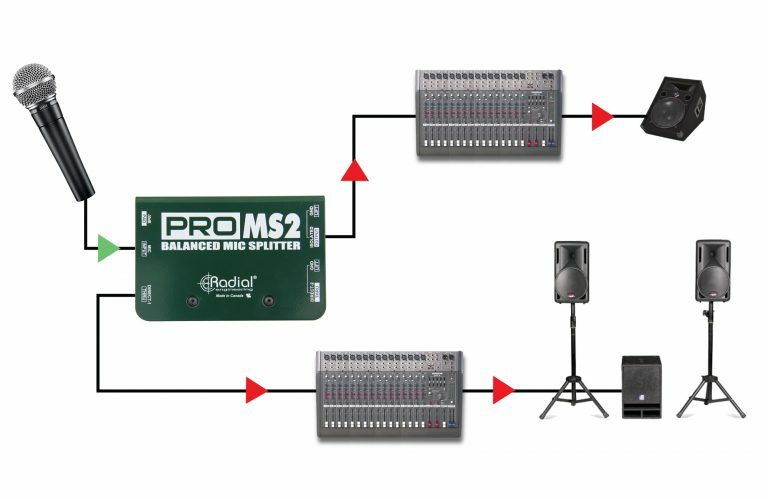 Connect the source mic to the ProMS2 XLR input, the direct out with phantom power return path to the main mixer, the direct out with ground lift to the monitor desk and the isolated out to the recording system. In the studio, it is often advantageous to compare the sound of two mic preamps on a particular voice, instrument or amplifier. 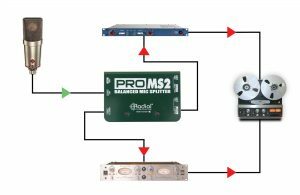 The ProMS2 makes comparing preamps easy! 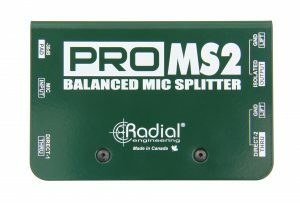 Simply connect the mic to the ProMS2 and then split the signal to feed the two preamps and record with the one that sounds best! 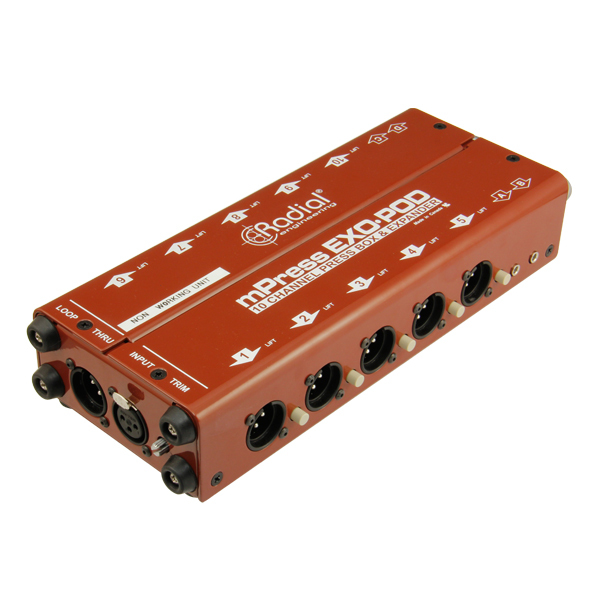 The Radial Exo-Pod is a passive broadcast splitter that can take the balanced line output from a mixing console and distribute the signal to 14 hand-held recorders, video cameras or wireless receivers.